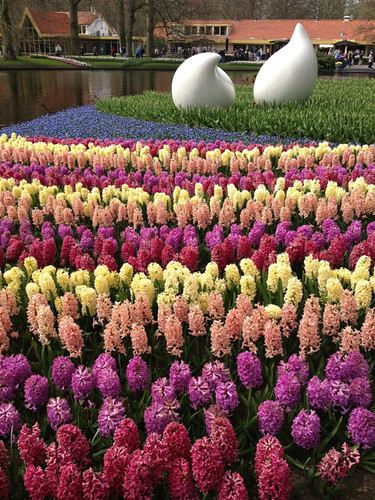 I've been dithering about when to visit the Keukenhof gardens outside Amsterdam. 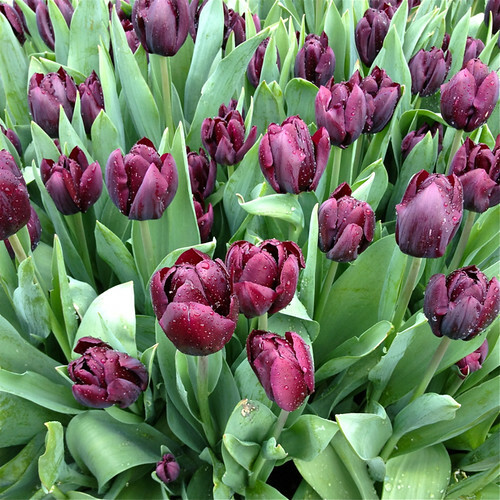 The gardens are world-famous for their Spring display of tulips but as winter has been longer and colder than usual the tulips are flowering later than usual. 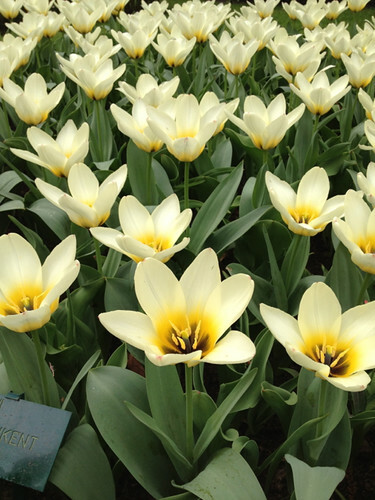 There doesn't seem to be a 'state of the tulips' advice site (or if there is I haven't found it) to guide me in choosing the best time to visit so it's all been a bit of a punt. Eventually I chose to visit on Wednesday this week which fortuitously was the warmest day there has so far been this year. Next week is my last week in Amsterdam and is a week of holidays and celebration for the installation of the new king, so I tried to avoid that week as I imagine there'll be lots of tourists and even locals making excursions around Amsterdam. 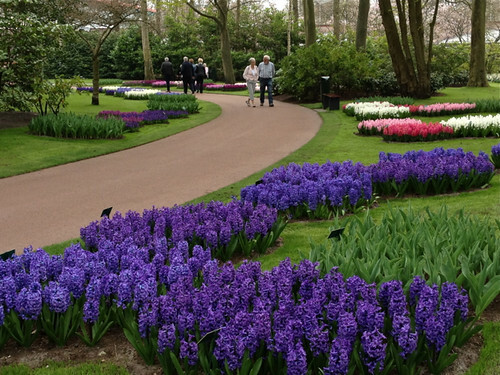 (By the way, my Dutch friend Mieke tells me Keukenhof is just for the tourists, but that's OK because I'm a tourist). 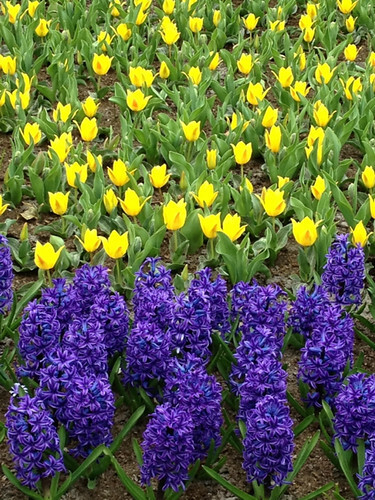 I loved Keukenhof, though my visit was a lesson in limiting what you desire. 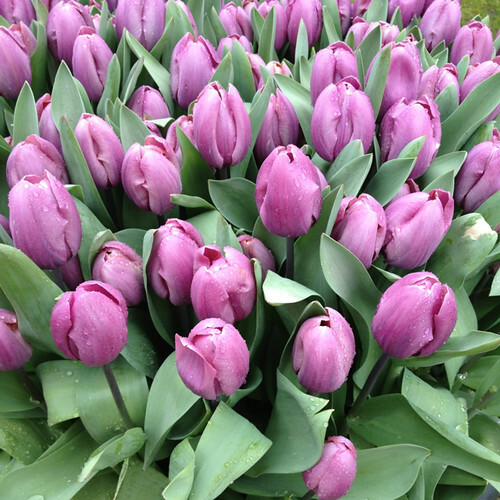 Most of the millions of tulips are still in bud and I found myself thinking 'if only I'd waited another week or so'. 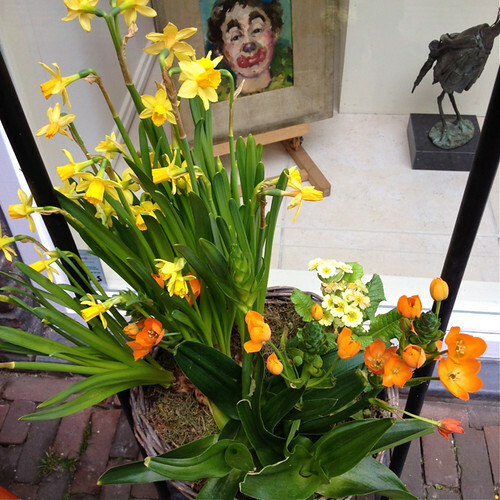 But this week was the peak period for the daffodils and hyacinths and they would not have been so splendid next week. 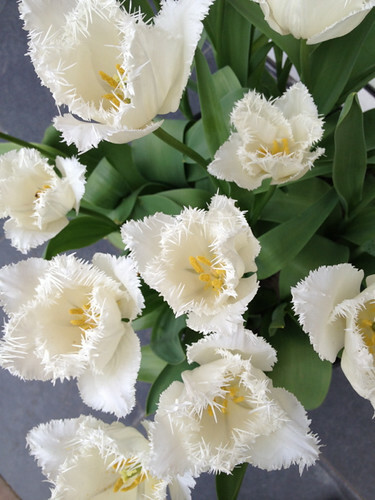 And anyway, by the end of the day even my tulip desires were satiated. 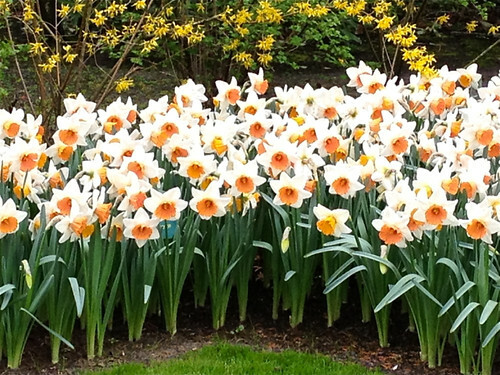 What I found most wonderful about the gardens was the sense of abundance. 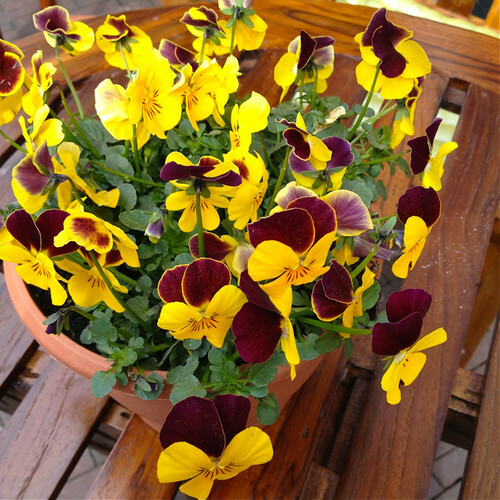 The planting is dense and generous. 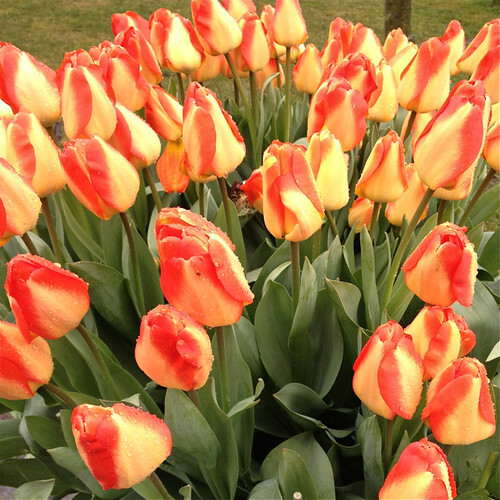 And even though there are many more tulips to come, how could they be more beautiful? 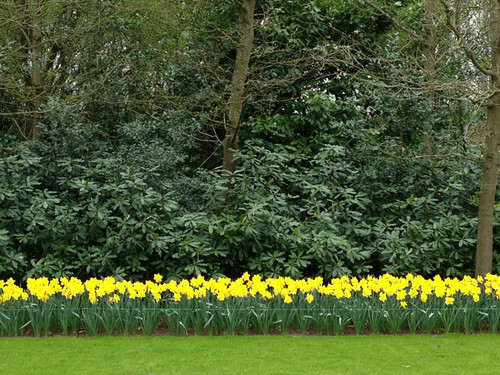 Keukenhof has something for everyone. There are majestic trees just covered in a haze of green from their new Spring leaves, winding paths, neatly aligned geometric gardens, trees covered in blossom, lakes, bridges, fountains, sculptures and, miraculously, given the crowds, lots of benches on which to rest and just contemplate the flowers. 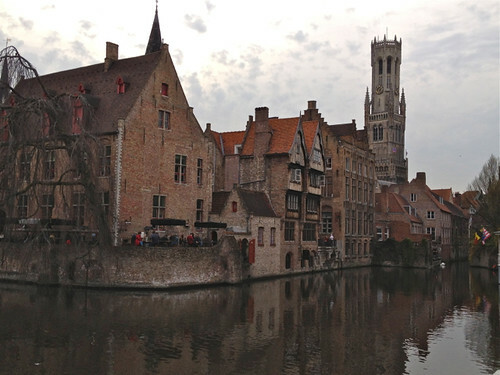 I think Bruges has been near the top of my travel list ever since I've had a travel list, but for one reason or another I'd never managed to visit. 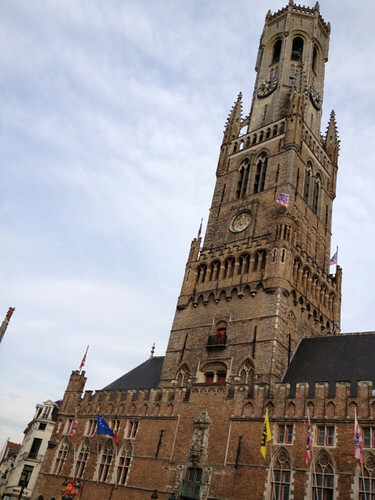 Finally, I've been to Bruges. 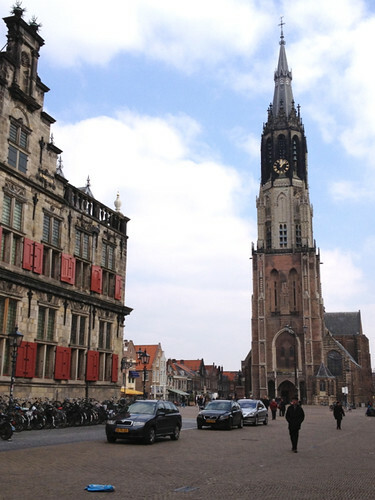 My mental picture of Bruges was disrupted in 2008 by Martin McDonough's witty, shocking, politically incorrect film, 'In Bruges' The images of mellow brick and stone buildings, towers, spires and winding cobbled streets and squares was overlaid by the dark, threatening edginess of the film. Now I've been in Bruges myself I know that making Bruges seem grim and dangerous is probably McDonagh's greatest ironic achievement. 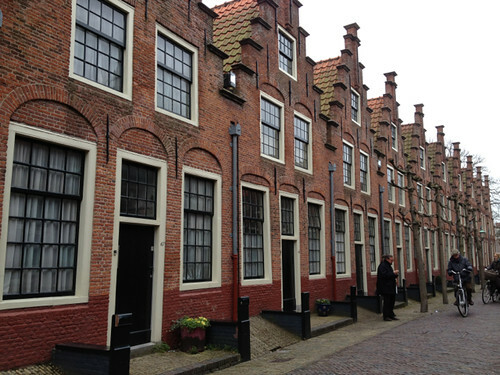 In reality it is the city of mellow late medieval buildings and charming streets that I'd imagined. As I read somewhere (can't remember where - my brain is suffering overload) 'if Bruges didn't exist, Walt Disney would have invented it'. The belfry that becomes so threatening in the film presides protectingly over a square filled with tourists, cafes, horse-drawn carriages and school tour groups. 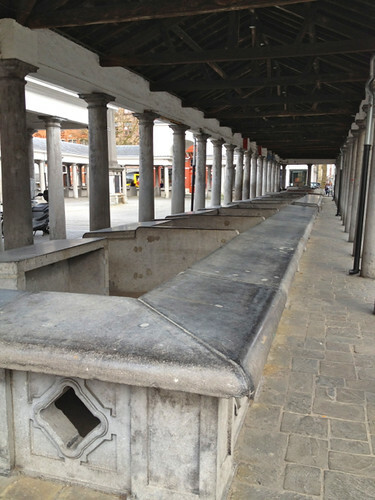 The dark colonnaded building that was so menacing in the film turned out to be the nineteenth century fishmarket where fish are still sold each weekday morning. 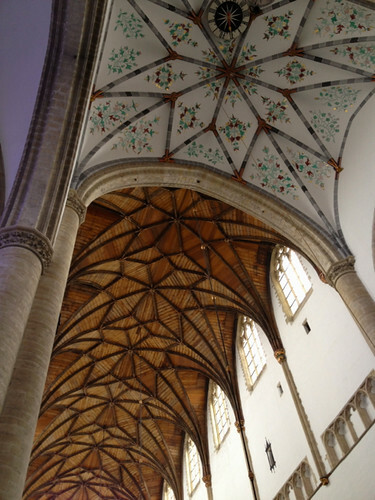 It was fun to see how Bruges had been transformed by McDonagh's black humour. 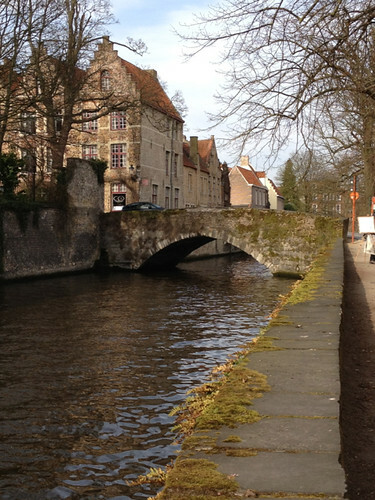 Also, my appreciation of the film has increased by seeing what Bruges 'really' is like. I must watch it again. Near the centre of town there are, inevitably, many souvenir and tourist-oriented shops. And the main souvenirs? Chocolate and lace. I've been seduced away from chocolate by Dutch preferences for marzipan and caramel flavours, but I was interested in the lace. I'd been warned that most of the lace in the shops is now mass-produced - and that most of it is sourced from China. This makes rather sad sense. Few tourists would be willing to pay anything like the real cost of producing handmade lace. 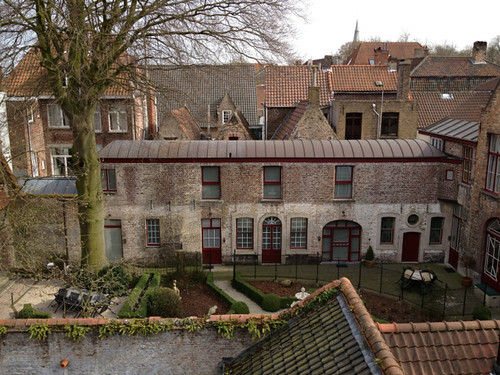 But I had read of a lace museum and of a shop attached to the museum so I meandered through what I imagine are the back streets of Bruges to find the museum. 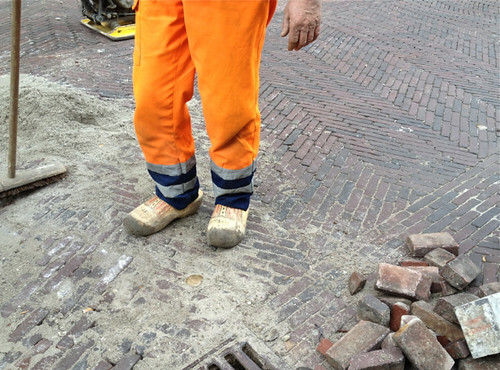 Any walk through Bruges is lovely, except for the impact on your feet from the cobbles. Most of the lace in the beautifully plain rooms of the museum is exquisite - fine, unique designs, astonishing craft. Unfortunately, the labeling is most inadequate (even worse if your Flemish is as undeveloped as mine) and provides little guidance as to the history or techniques of the pieces. You just have to admire them as objects. I so enjoyed watching the demonstration of lace-making, which was really just three women making lace and chatting to one another as if it was their weekly get-together. They were clearly very very skilled, but it was good to see them get distracted from time to time by the conversation and have to unpick a few rows (or whatever the bits fastened by pins are called in lace-making). 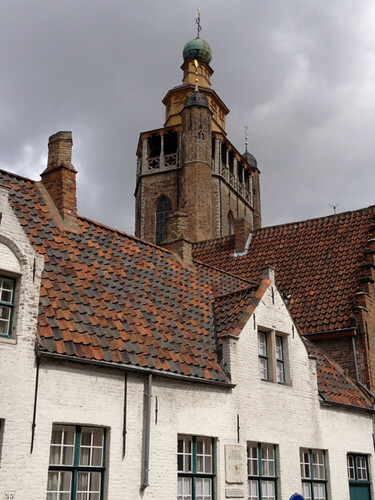 I was directed to a shop, called 't Apostelientje, up the cobbled lane beside the church. 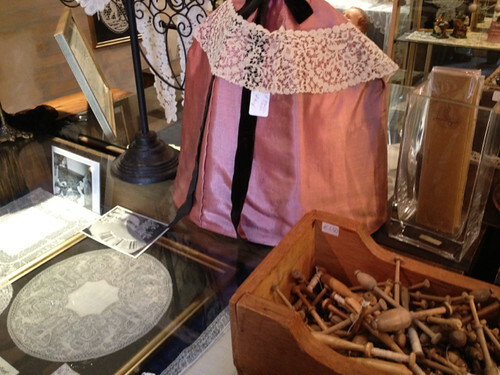 I'm still not sure if it was officially the museum shop, but it was crammed with pieces of hand-made lace - collars, handkerchiefs, tablecloths and napkins, doilies - both antique and modern, as well as all the bobbins, threads, patterns and other materials you need for lace-making. 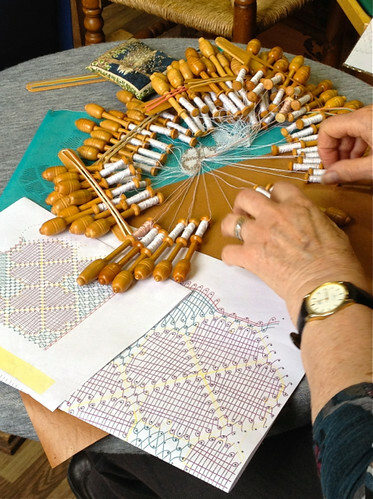 I can't imagine I would ever want to make bobbin-lace, but I was overcome with admiration for the traditions and skill involved in this form of textile production. And even if I could have afforded it, I wouldn't have bought any of the lovely pieces in the shop as they are part of a life I don't live. 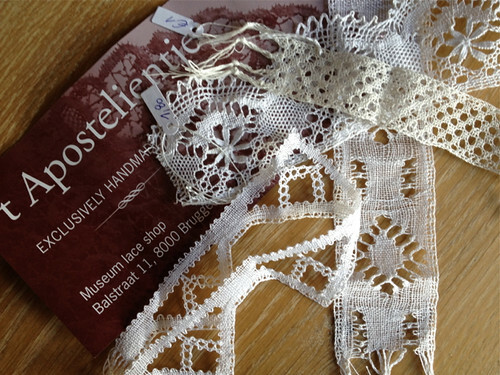 But I couldn't resist buying some small scraps and samples of lace just so I could have examples of the craft. 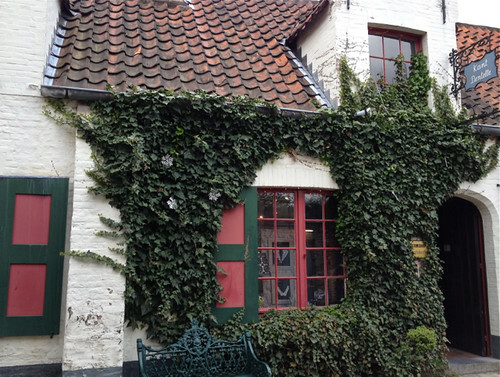 Bruges (or Brugge or Bruggen) is still on my travel list. I want to visit again. 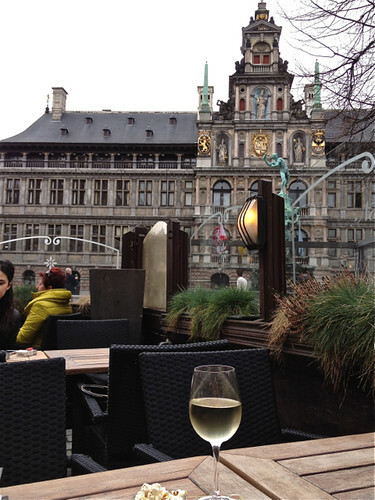 I've been to Belgium for a few days and spent a day and a bit in Antwerp. 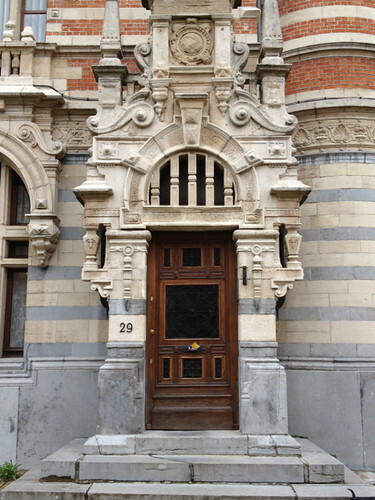 There are many reasons to visit Antwerp. There's beer, and chocolate, and diamonds, and lots to see if you're a fan of Flemish painter Peter Paul Rubens or if you're an aficionado of busy river ports. 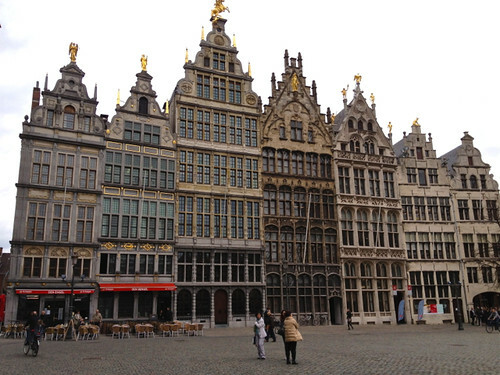 But none of these feature in my top 5 in Antwerp. Of course I'm not suggesting you stay too long at Central Station, but I do recommend a few awe-struck minutes as you pass through. The main station edifice (and it really is an edifice) was built in 1905 in what my guide book describes as no recognisable single style of architecture. It's simply grand, impressive even over-bearing. 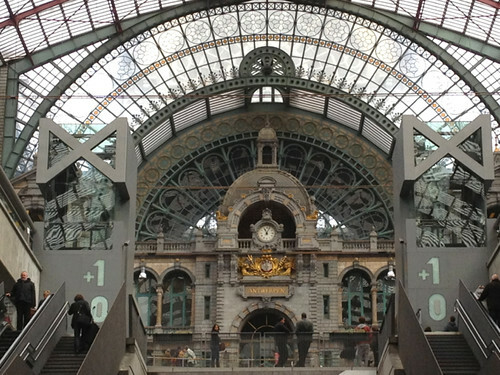 It's a cathedral to rail transport, built at a time when Antwerp was a major transportation hub for northern Europe. I was very impressed! 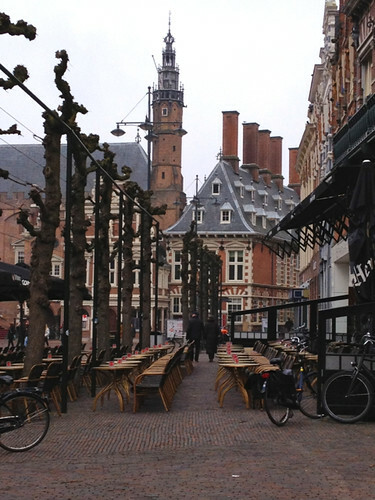 Nowadays the square has many cafes and restaurants and you can sit with a glass of wine (as I did in my warm coat, knitted hat and scarf) and contemplate the grandeur of the buildings, in particular the grand Stadhuis - Town Hall. 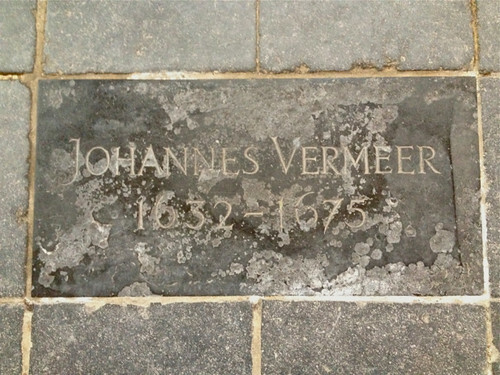 It's particularly interesting to travel the relatively short distance from Amsterdam to Antwerp - two such influential cities in the late sixteenth and early seventeenth centuries - and to note the differences in the architecture of the time: from Calvinist Amsterdam's neat, discreet geometric structures to the florid, gilded, exhibitionist buildings of Catholic Antwerp. This is a new museum, probably inspired by Antwerp's recent reputation as a centre of fashion innovation. It's located in a purpose-built structure in a street of fashionable shops - just across the street from designer Dries Van Noten whose window display was so fashionably deconstructed that at first glance I thought they were cleaning out their display spaces. The Museum is primarily a space for visiting exhibitions and I was fortunate enough to see a very well curated exhibition of silks and printed fabrics from the archive of Swiss fabric designer Abraham who designed and supplied textiles for haute couture French designers from the 1950s to 1990s. 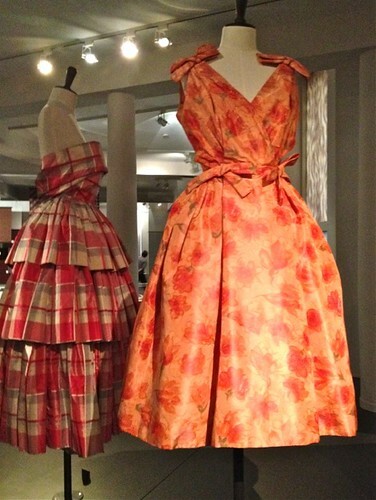 There was not only a display of the luxurious fabrics, arranged in themes such as roses, animal prints, tartans and checks, but also of clothes from Parisian couturiers such as Christian Dior, Yves St Laurent, Givenchy and Balenciaga. 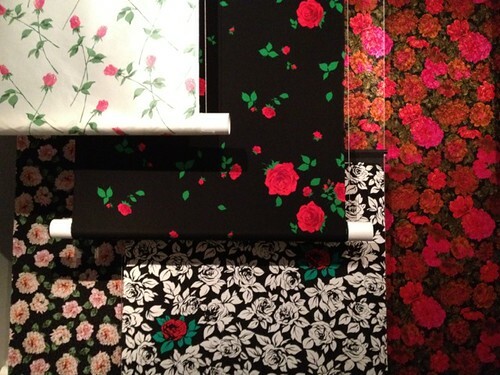 The photos below are of textiles featuring rose designs and of Christian Dior dresses from the mid 1950s made from the rich Abraham fabrics. 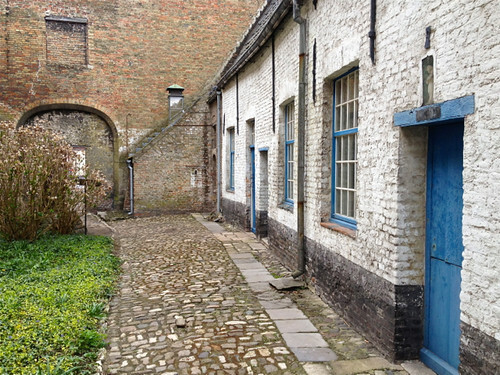 This is a street in the Zurenborg area of Antwerp that was developed around the turn of the nineteenth to twentieth centuries. 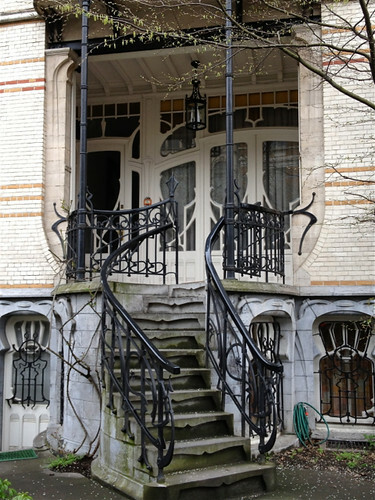 The street is a a most exuberant display of grand houses in Art Nouveau and other romantic and revivalist architectural styles of the period. There are towers and onion-shaped domes and wrought iron and coloured brickwork and every other elaborate architectural decoration you could imagine. Over time the prestige of the area declined and in the 1960s there were plans to pull down the houses for more practical, economical housing. But artists and other activists demonstrated and the street was, thankfully, preserved. 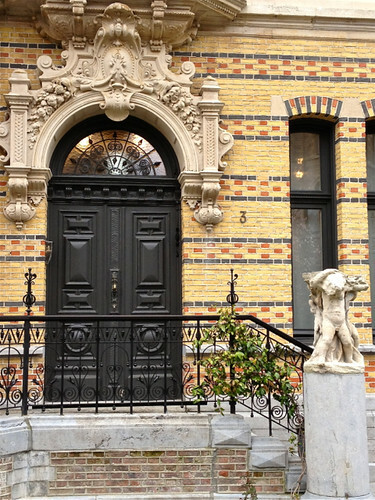 As I walked along the street I noticed a number of architects', accountants' and medical specialists' offices, though some of the grand buildings still seem to be simply residential. Antwerp is a clothes shopper's paradise. 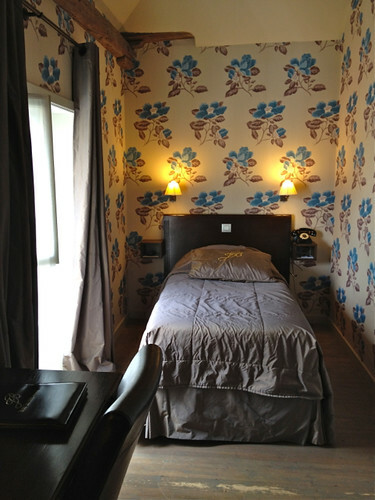 In a relatively small area you can find every brand of fashionable clothes you might want. There are all the usual high-end luxury shops found anywhere in the world, but there are also edgier, trendy local designers, high-street fashion, and all the latest fads. But I didn't actually do any clothes shopping. 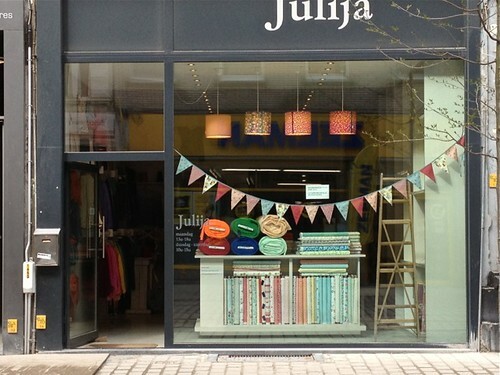 Instead, I visited Julija's yarn and fabric shop. Such tempting shopping for knitters, sewers and quilters. The shop is much larger than it seems from this photo as it turns at a right angle and has another shop front on a side street. 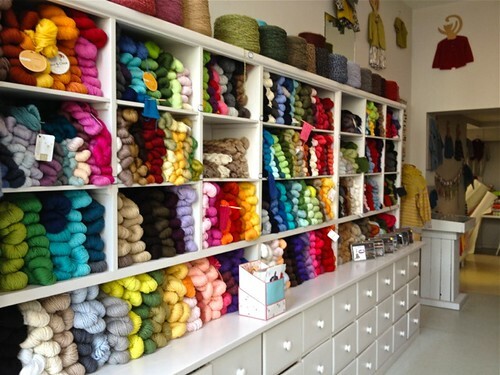 Julija's has a small selection of yarn brands, but when the selection is Malabrigo, Spud and Chloe, Blue Skies Alpaca and French yarn La Droguerie - all in wide colour ranges - what more do you want? 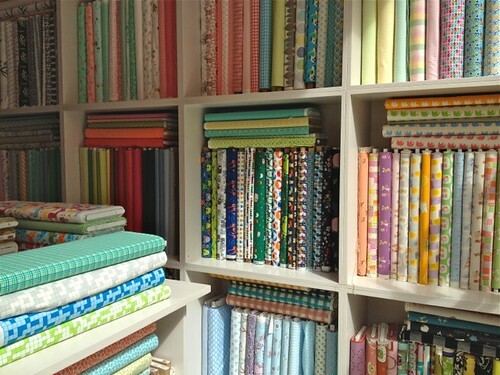 And the fabric range includes Liberty, Heather Ross, Michael Miller, Nani Iro and other brands I don't know. Lucky I don't sew! So that's my list. I imagine it's a list that's suitable for someone who likes knitting and is interested in architecture and fashion - perhaps not a very wide audience. 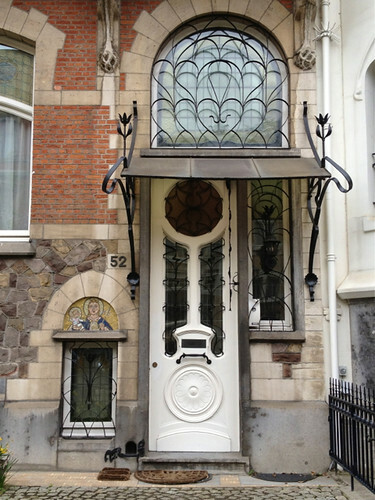 I had a very enjoyable, though exhausting, day and a bit in Antwerp. 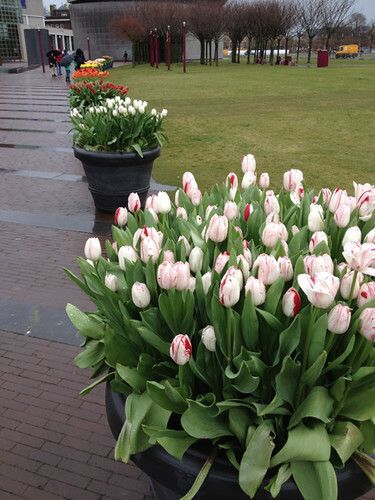 I think I'm even more besotted with the tulips in Amsterdam than I was with the orchids in Singapore. 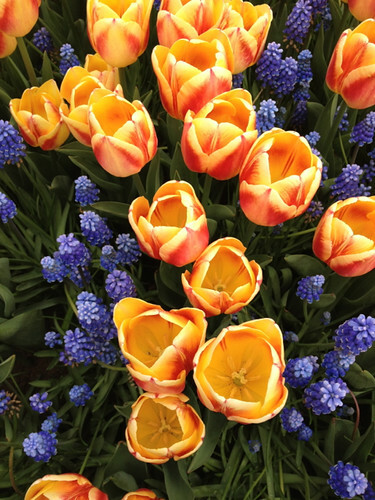 On yesterday's visit to the Rijksmuseum I walked along a path that was lined with big tubs of blowsy, healthy, colourful tulips. Winter this year in northern Europe has been cold and long. 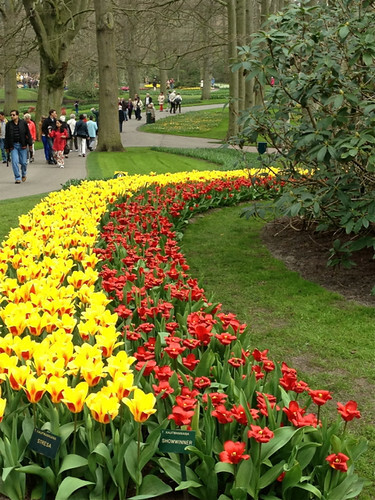 People are yearning for Spring and the tulips - blooming much later this year than usual - are Amsterdam's symbol of the season's change. 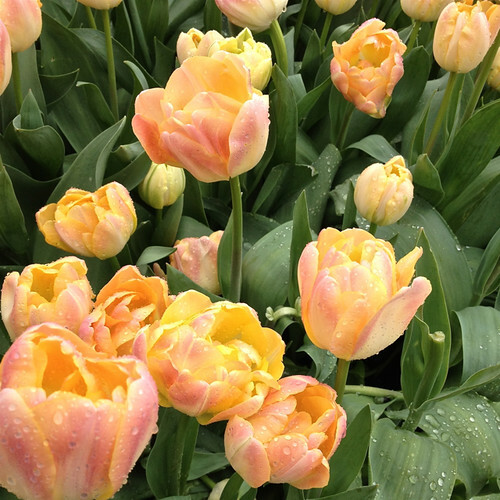 They're not the most subtle of flowers, but I can appreciate how the mania for them almost ruined the economy of the Netherlands in the seventeenth century. 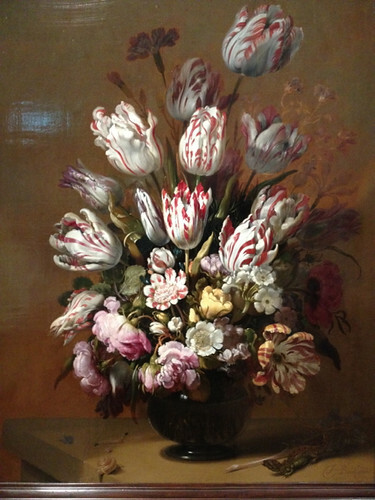 I discovered this 1634 painting by Hans Bollongier in the Rijksmuseum with the same tulips that are in the foreground of my first photo in this post. 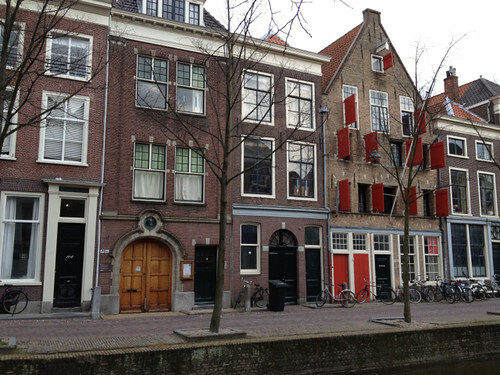 I've been enjoying my leisurely time in Amsterdam - going to museums, hearing great concerts at the Concertgebouw, catching up with old friends, knitting, and just pottering. Amsterdam is the perfect place for pottering. 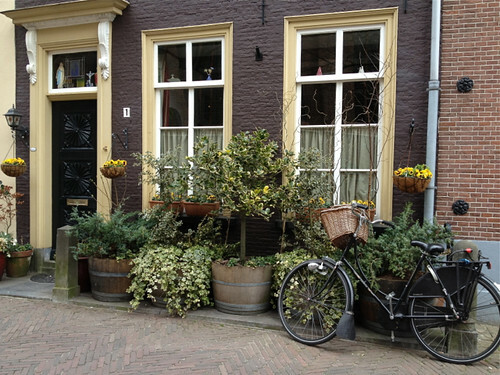 The streets and canals meander and invite lingering and photographing, there are quirky and often beautiful specialist shops, and there are more coffee shops and places to stop for a glass of wine than you could imagine. Great places to rest when your feet are weary. But what is amazing for an Australian is the ease with which you can travel out of Amsterdam. 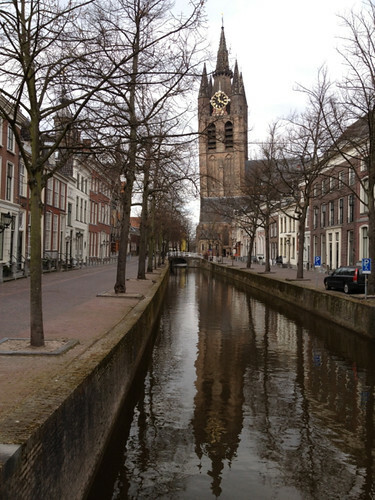 Within an hour on the train (in the case of Delft and many other places) or only 15 minutes (to Haarlem) you can be in a different city with its own complex, rich history. 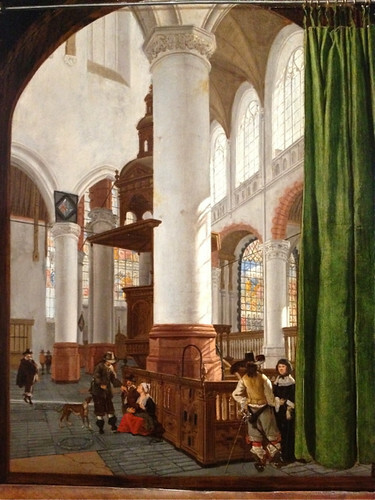 I visited the splendidly restored and recently reopened Rijksmuseum in Amsterdam today and discovered a 1654 painting of the Oude Kerk by Gerrit Houkgeest. While some of the detail, and most definitely the clothing of the visitors have changed, the general impression is still recognisable. Such a sense of continuity. 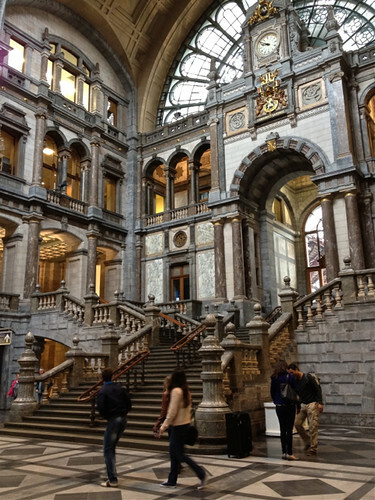 More about the Rijksmuseum in another post. Then there's also the Delft Nieuwe Kerk (new church - I love the idea of a 'new' church that's more than 450 years old), built initially between the fourteenth and sixteenth century, though much of its current structure was restored after destruction by a fire in 1536 and a disastrous explosion in the national arsenal in 1645. The extraordinary 100 metre tall tower was added only in the nineteenth century. And no, I didn't climb to the top, wonderful though the view might have been. 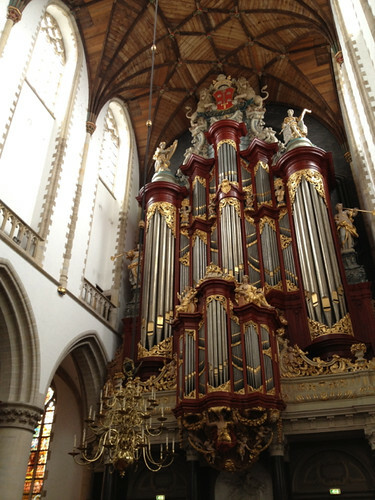 Both churches began their lives as Catholic churches and, until the latter part of the sixteenth century, would have been more elaborately decorated, with carved alterpieces and images of saints like grand churches and cathedrals in more southerly Europe. 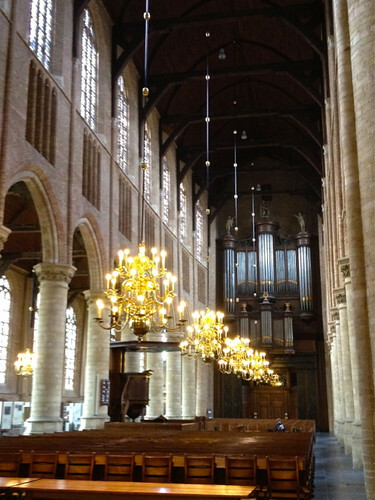 But after the 'Alteration' of 1578 when the Calvinists took civil power, Catholics were expelled from Amsterdam and surrounding cities and much of the great religious art that decorated the churches was destroyed or desecrated. Sort of like the cultural revolution in China, but 400 years earlier. However dreadful the destruction, I have a liking for the austerity of these great churches. You find yourself admiring the spaces created by the builders, rather than the decoration. 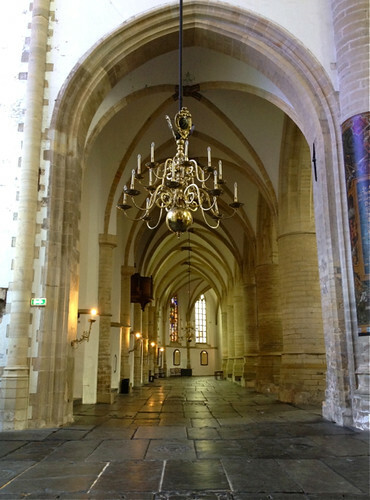 Lovely as these Delft churches are, my favourite is the Great Church of St Bavo in Haarlem, mainly constructed during the fourteenth and fifteenth centuries. 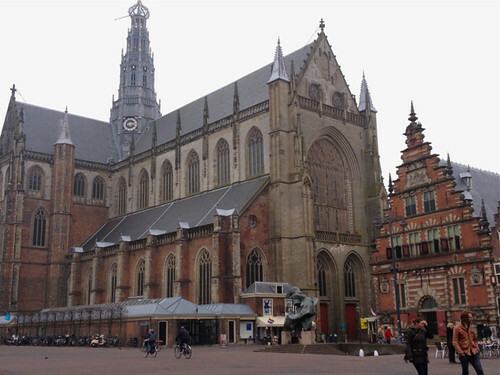 It dominates the town square and old markets, and with ice-cream and souvenir shops and a ticket office squashed up against its walls it gives the impression that the rest of Haarlem has grown out of the church. 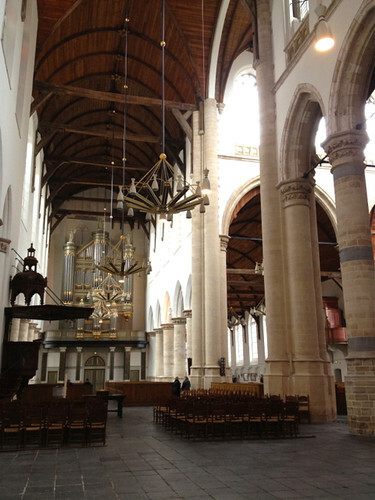 The exterior is not so remarkable, but the elegant proportions of the interior with its colonnaded side aisles, exquisitely decorated ceiling and eighteenth century organ have a quiet perfection. 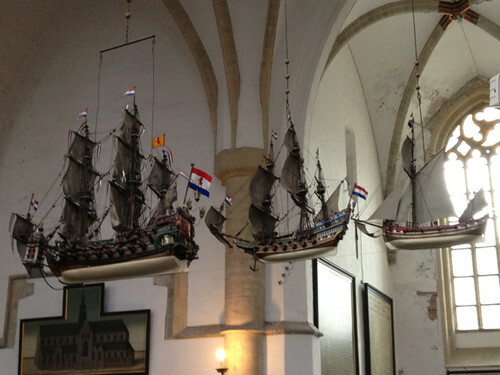 The ships were gifts from the Shipbuilders' Guild in the sixteenth and seventeenth centuries and are modelled on the ships built in Haarlem at that time that brought such wealth to both Haarlem and Holland more generally through trade and commerce. 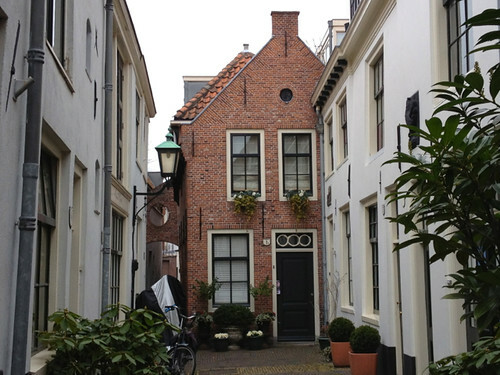 and such neatly kept houses in Delft that they satisfy every child's dream (and maybe those of some adults as well) of the perfect house.